Blackout window film for commercial and retail windows have several uses in both places. We provide all kinds of blackout window film and privacy window film. Our blackout film and privacy window film provides privacy and is a great solution to problem areas in commercial settings where unsightly dividers or shelves can be seamlessly covered over, giving a uniform look to any building. Rather than remodeling, give your business place the professional look it deserves with privacy window film and blackout window film. Our blackout film comes in a variety of colors and finishes, from gloss or matte black or white to a full spectrum of colored vinyl. We serve the greater Colorado Springs and Denver area and are proud to be one of the established leaders in the field of window films in the area. Visit us or call us for more information on blackout film. We provide expert consultation and installation services anywhere in the greater Colorado Springs and Denver area. You often get to hear people complaining about the lack of privacy in their house owing to windows. It is common to have windows that open right onto the road, but under such circumstances, you tend to feel rather exposed. To deal with this, people end up putting heavy curtains on the windows. While this does manage to keep you away from prying eyes, it also keeps the sunlight away and as a result, the room appears dull and cold. Hence, you need some way via which you would not have to compromise on your privacy while at the same time natural light manages to find its way in. 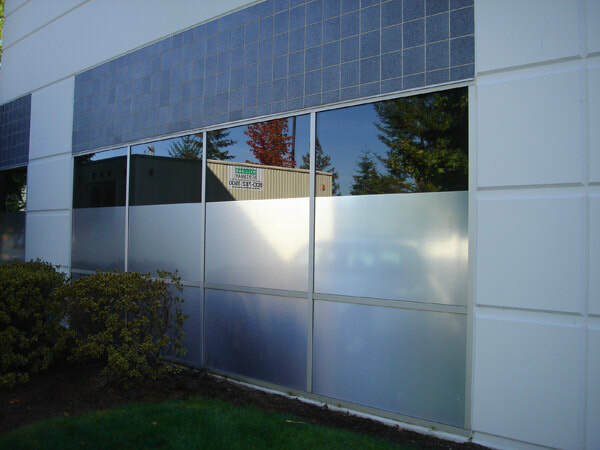 This is where you will find blackout window films to be the perfect option. The benefit of a blackout window film is that you would not need to worry about prying eyes gaining a view inside your house. Even if you have curtains on your window, there is always a chance of the curtain sliding to the side and someone managing to catch a glimpse of what is transpiring inside. This is not something you will have to worry about if you have a blackout window film installed. As the name suggests, the blackout window films would ensure that anyone standing on the other side of the window would only see a black pane, while the natural light would manage to shine through. This certainly would save you form a lot of trouble. There are a lot of options that you will find when it comes to the purchase of blackout films. However, you will have to make it certain that the film you purchase is high quality and would indeed be able to provide you with the results you are looking for. Inspect it carefully to acquire information about the features. It needs to be capable of creating an obscure view irrespective of the time or lighting. It should block vision from the outside so much so that you do not have to worry about your privacy being compromised at any given instance. Furthermore, make sure that it lets light in so that it would prove to be beneficial for your energy costs. There is no denying that there is quite a bit of benefit that you would acquire if you get blackout window films. However, to make sure that you get the best results, it is of utmost importance that you get the right people on board. A bit of research might be required for this. Take some time and pay heed to all the relevant factors before signing anyone. This will make sure that you do not end up regretting your decision at a later date. Ask around for options. Installation of the window films is something that can be done on your own too. However, if you want perfect results, you should leave the job to professionals.